If your dog has annoying warts, you may be looking for natural, home remedies for dog warts and you may have stumbled on thuja occidentalis for dog wart removal. I want to share this remedy, as when I worked for a vet, I recall a client trying it and reporting the outstanding results that left a vet, who had advised surgery a few weeks prior, baffled. Before trying out this remedy though, it's important to learn more about thuja and dog warts. First off, what exactly is thuja? Thujas, also known as eastern white cedar, or Arbor vitae, which means "Tree of Life," are large evergreen trees native to eastern North America and belonging to the cypress family. They are often used as ornamental trees for hedges and landscape projects. Herbal remedies are often made from branches and the tiny, leaves, known for containing the oil thujone. In ancient times, the needles of Thuja occidentalis were used by native Canadians as a tea that prevented and treated scurvy, while in the 19th century, a tincture or ointment made of thuja was often used to treat skin problems such as warts, ringworm and thrush. While many claim thuja to be effective, according to the American Cancer Society, scientific evidence doesn't support any claims about thuja or its extracts for being safe or effective. The only study I was able to find on thuja use in animals with warts is one on cattle where thuja was used for 3 weeks and was found to be a good alternative to surgery. For those interested, the study can be found here; effect of thuja occidentalis on cattle papillomas. Caution should always be used when using any herbal supplements and it's always best to first consult with your veterinarian or holistic veterinarian. As with all my articles tackling nutrition or health, they're not a substitute for professional veterinarian or nutritional advice, please read all disclaimers. What Exactly are Dog Warts? Dog warts are quite popular among puppies and young dogs under two years of age and are mostly caused by the papilloma virus. These are highly contagious growths that often present in clusters and can be easily passed from one pup to another by direct contact such as sharing toys, water bowls and food dishes, so if you have more than one dog, be careful in keeping them separated, and if you take your dog to daycare or dog parks, don't take him until your vet says it's OK. No worries though; this condition is species-specific (contagious only among dogs), and therefore, cannot be transmitted to humans, children, babies or cats. 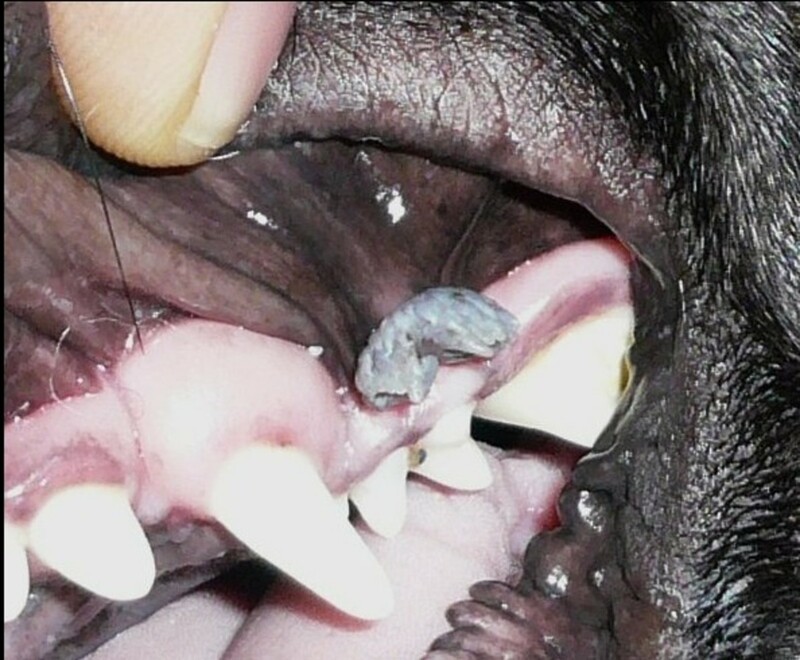 Most often, they're found on the dog's lips, nose, and gums but may occasionally spread to other areas. These cauliflower, anemone-like growths are often sign of a poor immune response which is why they're more often found in puppies, immunosuppressed dogs given immunosuppressive drugs such as prednisone, and older dogs. Dogs often get these unsightly growths after being vaccinated. At times, veterinarians may crush these growths so to stimulate the dog's immune system to kick in and fight them. In young dogs, the warts often resolve on their own and eventually fall off after about 3 to 6 months, sometimes though they become infected and quite bothersome and may require a course of azithromycin, a common antibiotic. 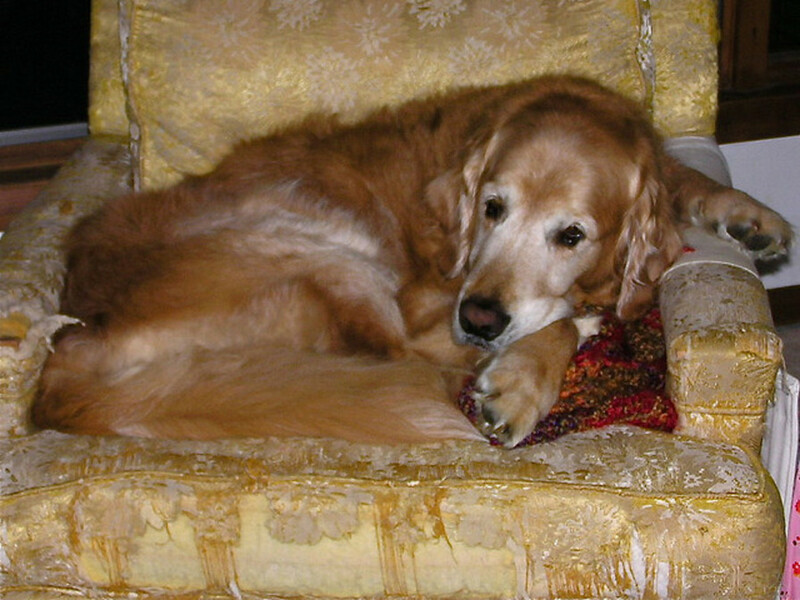 Warts may also affect older dogs, and when this happens, again it may be a sign of a poor immune system. Veterinarian Shawn Messionier refers to them as “old dog warts." These wart-like growths in many cases turn out being sebaceous adenomas and epitheliomas. Unlike puppy warts, these can occur anywhere other than mucous membranes. They may also present as single growths rather than clusters and since they're not caused by the papilloma virus, they're not contagious. They're quite common in poodles, Maltese, and bichons. See your vet for proper diagnosis. While warts may look like innocent growths, at times they can become quite bothersome. They may itch, cause problems eating when in the mouth, and can get irritated and bleed in they are in a troublesome location that dogs repeatedly chew or scratch. In these instances, where other options have failed, vets may suggest to have these growths surgically removed or undergo cryotherapy (freezing), which, according to the vet in the video below, can be painful. However, these growth may still grow back if the immune system is still weak. In some cases, supplements may help out. I've seen Thuja-based products commonly used in veterinary homeopathy. Consult with your vet before using one. If your dog has a wart, it's always best to see your vet. Even though rare, some growths may look like warts, but may be something more serious. For instance, mast cell tumors, often known as the "great imitators" may look like old dog warts. In some very rare cases, a wart can also transform into a squamous cell carcinoma, adds veterinarian Karen Becker. Both can be ruled out by doing a a fine needle aspirate of the growth. Yet, in many cases, vets readily recognize the classic appearance of warts and will diagnose them on the spot. Because dog warts are more common in dogs with a vulnerable immune system, enforcing the immune system may help treat the dog from the inside out. This is why holistic practitioners also recommend giving thuja after dog vaccinations as they help the immune system. Karen Becker suggests not over vaccinating dogs and offering a healthy diet for dogs suffering from warts . Veterinarian Shawn Messionier on his website claims to use an immune supporting supplement known as Immuno Support made of arabinogalactans, lutein, and shitake mushrooms. At the same time, thuja can be helpful, especially for warts seen in puppies and young dogs. Thuja occidentalis 30c, comes in drops or pellets. Some products are meant to be applied topically directly on the warts, while others under the form of pellets or drops, are meant to be given by mouth. Make sure you read the dog thuja dosage and directions on the labels carefully! Disclaimer: this article is fruit of my research and is not meant to be used as a substitute for professional veterinary advice. If your dog has a wart, please see your vet for proper diagnosis and treatment. Always consult with your vet or holistic vet before trying any supplements. By reading my articles, you accept my disclaimers. My Bassett hound had one large wart on his lip about the size of a grape and another cluster of warts inside his cheek. He also had small warts popping up on his gums. It was very distressing. We used vitamin E liquid directly on the warts for several weeks. We then tried Thuga for two or three weeks. Next was vitamin E oil. What seems to have finally cured this was Head to Tail Immune Support. We gave him two treats per day for about 10 days and the warts are suddenly gone! We were on the verge of possibly having surgery to remove the large one on his lip. So the immune boosting treats seems to have helped his body fight this virus. Hope this helps someone. how do I administer Thuja to my dog? Can I put it in a pc. of food like a cucumber, or pc. of cheese or meat? Administered 6 pellets in a tbsp of pumpkin 1/day for a week and what a difference! My 10mo dog had clusters of warts and now they’re almost all gone. The vet recommended waiting them out as they usually clear up within 3 months and it didn’t seem to be bothering him but I wanted a natural remedy to speed up the process and thuja did the trick!! 2. 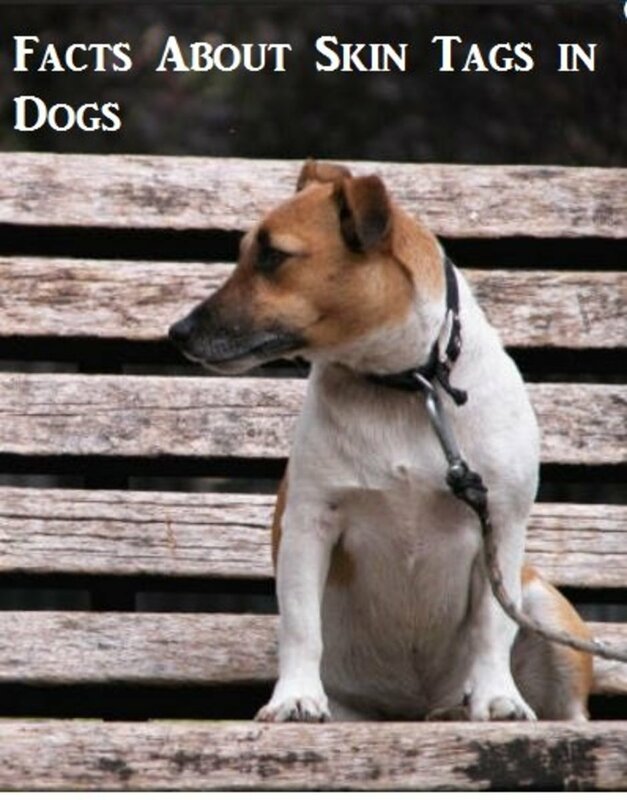 They tend to clear themselves up within 3 months if the dog is under 1yo (longer if it’s an older dog). 3. Surgical removal is invasive, has a high bleeding risk, and often results in them coming back anyway. 4. Antibiotics are ONLY if infected. Since the warts are viral, antibiotics won’t do anything to get rid of them. Kelly, thank you for sharing what your biologist said. My holistic vet just last week approved the use of Thuja to use for my Rotties before and after getting a rabies vaccine. Since they are 10 years old we were concerned about the side effects of vaccines. He told me that he prefers the pellet form of Thuja occidentalis versus the versions in alcohol. He said not very fond of alcohol products for dogs. We used it for a few days and I must confess I was a bit worried after reading Smokey's story. But my holistic vet reassured me that he has used it many times with success. Luckily everything went fine. 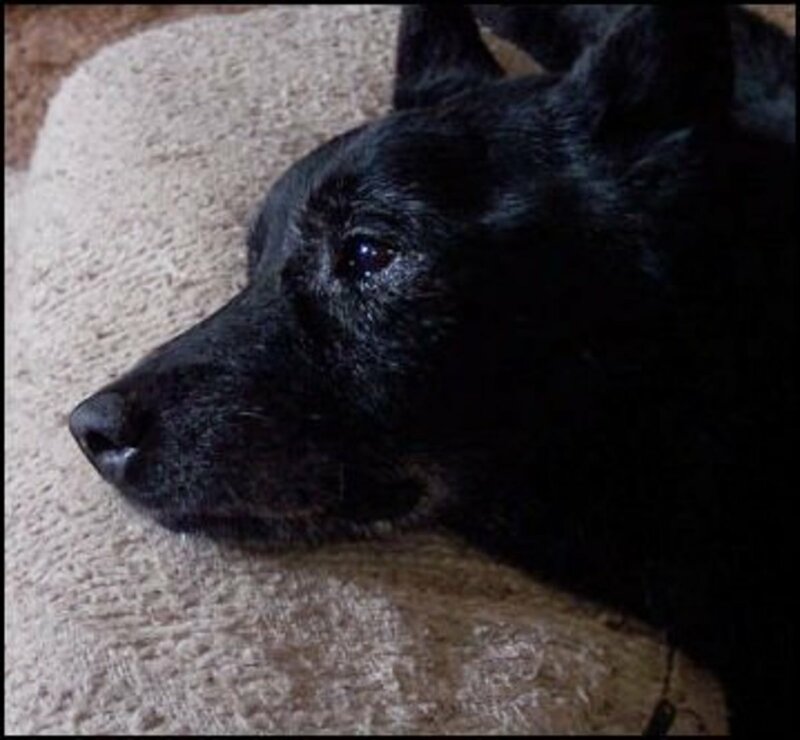 Adrienne, I just read Smokey's sad story regarding his dog passing after one dose of Thuja. I have a liquid detox formula with Thuja that a vet sold me to administer after a dog's vaccine - Bordatella, I think. I used it without any problems but later when working with a biologist on a natural heartworm treatment plan for my dog, his comment on Thuja was "Be cautious with the thuja mixture you are using. Thuja is a very strong herb and can create negative neurological symptoms and in a quick period of time. The only time i would ever want to use a direct source of thuja internally is when im trying to remove skin tags, warts, and liver spots from the skin. Thats it. " I have never seen this repeated anywhere else. Although I am a true homeopathic advocate, I just found it interesting in light of the story below. Smokey, so sorry to hear about your dog. It's always important to consult with your vet or holistic vet before trying any supplements just to play it safe. I could not find any evidence-based literature of Thuja causing the symptoms you are seeing. I looked up in Google scholar and only found Thuja occidentalis being used in homeopathy for the treatment of cancer, and actually having anti-cancer effects in humans when used to address an aggressive type of brain tumor known as glioblastoma. See "Pro-apoptotic and anti-angiogenic properties of the α /β-thujone fraction from Thuja occidentalis on glioblastoma cells." It may help to see another vet for a second opinion. The signs you are seeing sound like "old dog vestibular disease" but only an MRI or CT scan can 100 percent differentiate the two. If vestibular in nature, symptoms generally get better within a week. 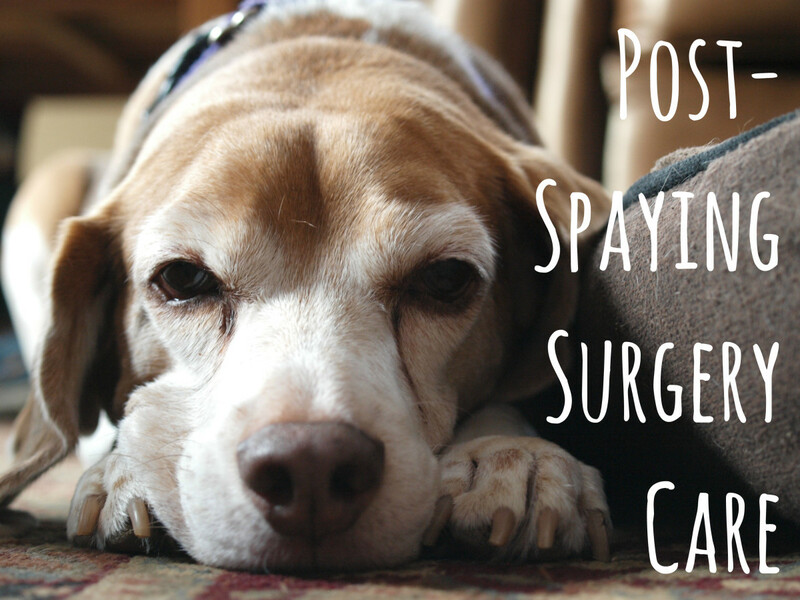 Here's what a vet says about these two conditions: "https://www.justanswer.com/dog-health/5y4ub-tell-d... " Hopefully, it's the latter, although the chances for brain cancer are always possible in senior dogs. Just wondering if I just helped terminate my dog. I gave my 14 yr old Lab 1 pellet of Thuja Occidentalis last night and about an hour later she started walking sideways, head tilted and her pupils moving rapidly up and down. I thought the symptoms would pass, but she never got better. We took her to the vet this AM and they diagnosed with with a possible brain tumor causing this. I asked if the Thuja Occidentalis could have been a factor and they said probably not, but cannot be 100% sure. I am racked with guilt over this as I was only trying to help her get rid of her warts. I cannot believe 1 little pill would bring this on, but there is no other logical explanation. Any thoughts please!! CJ, as mentioned in the article there are different types of thuja, some meant for topical application and some to be taken internally. Most likely, that product you are referring to is just for topical application for areas other than the mouth. I have asked the company though and will let you know what they reply. Always best to consult the vet before starting a dog on supplements. You show a picture of the wart in the mouth, but the Thuja linked specifically says do not use around the mouth. So, that seems contradictory. My dog as a wart on her front lip that we are desperate to get rid of but concerned if this is a safe option. My 10 month Golden had one the size of a dime inside of his lip. It seemed like it came out of nowhere and was pretty large. The vet acted like she had never seen anything like it before and said it must be removed. So he had it surgically removed but I'm afraid more will just grow back. Even though it's gone would giving him the Thuja pills prevent it from coming back? Emiz My German Shepherd has the same thing going on . She has two good sized ones on her tongue. Did you dissolve the little pills in water then have them drink it or how did you administer? I just picked up my Thuja Occidentals 30C today and I am wondering how to administer it. Can I simply mix it in with her food? Should I put the pills in peanut butter? 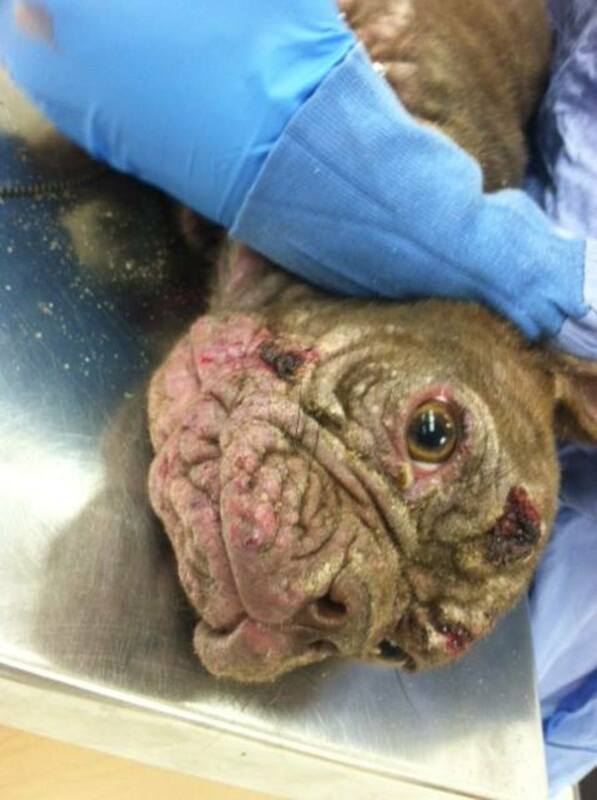 My vet told me that Demodex was caused by dogs being raised around cattle is this true? Emily Z thanks for sharing your story about your puppy's warts. Good to hear that thuja worked for your puppy's warts. I love success stories as such. Yay for thuja! My pup got warts in his mouths which probably came from the dog park. They were rapidly growing so I got him to the vet. She prescribed antibiotics ( I'm not a fan) so I thought I would give it a try to be sure to give my dog a good round of probiotics afterwards. $160 dollars later the warts persisted. I read about thuja and within the first week the warts were diminishing and the 2nd week they were gone. I love a $7 safe remedy! Too bad the vet charged me so much for nothing. 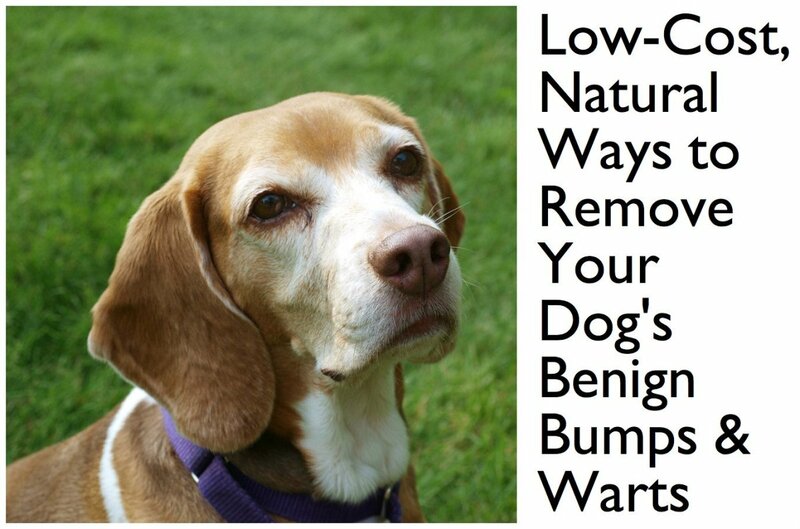 Thanks, my dogs are getting older and if I ever notice a wart, I would see the vet first and then would rather try to treat it the natural way.